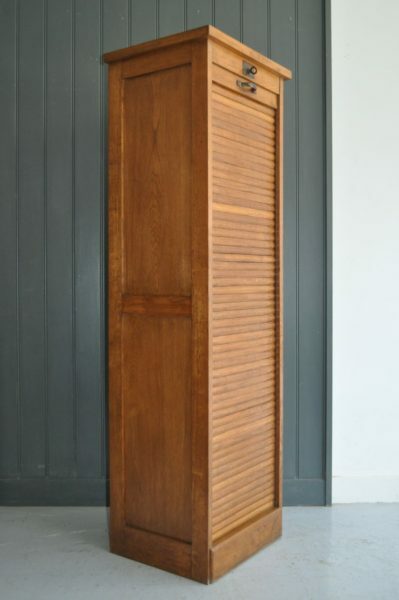 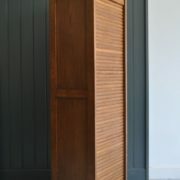 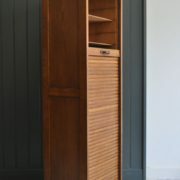 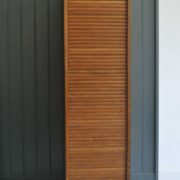 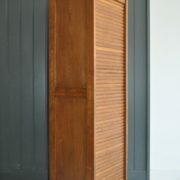 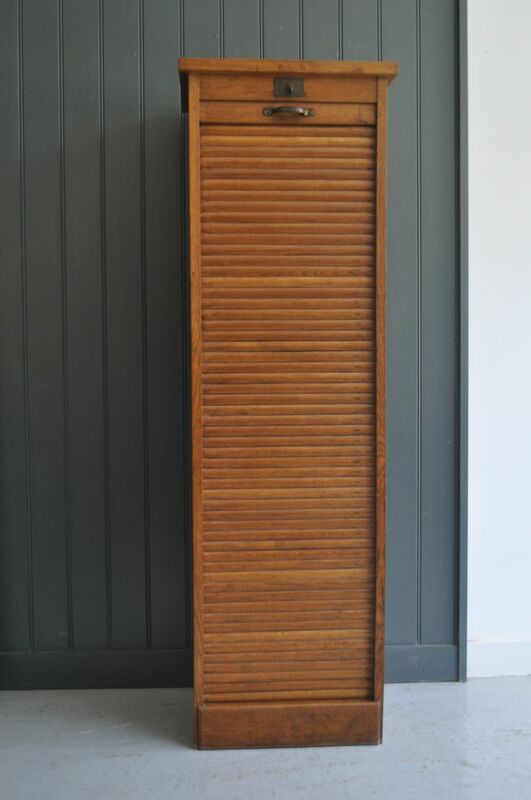 French oak tambour-front cabinet with original handle lock and key. 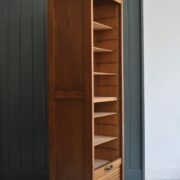 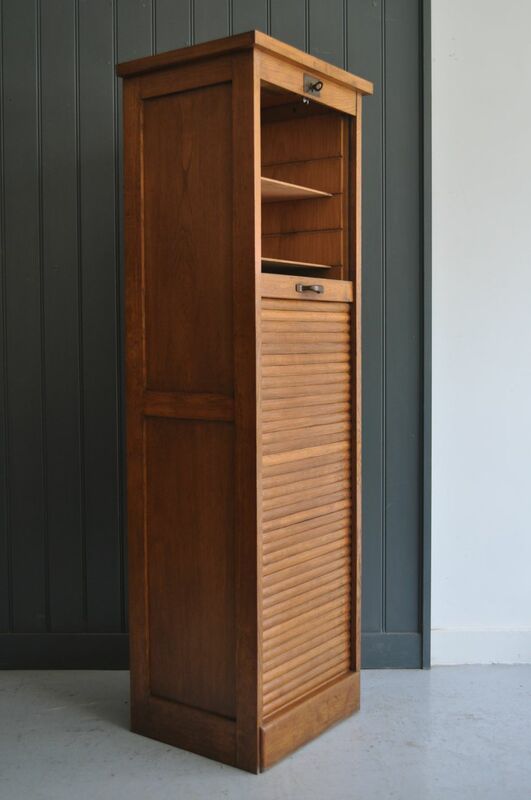 Adjustable and removable shelves to interior, a smooth-running tambour, and good colour and condition with only light wear in keeping with age. 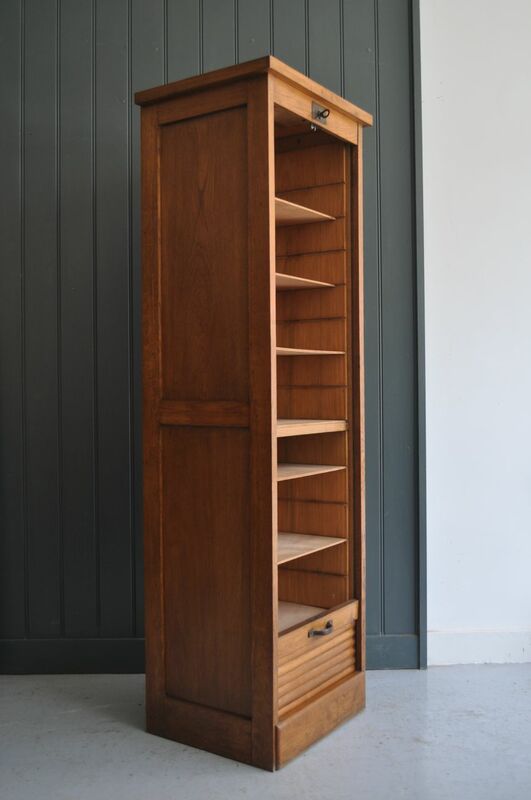 A useful amount of storage with just a minimal footprint.